Looking to sell electronics for some extra cash? 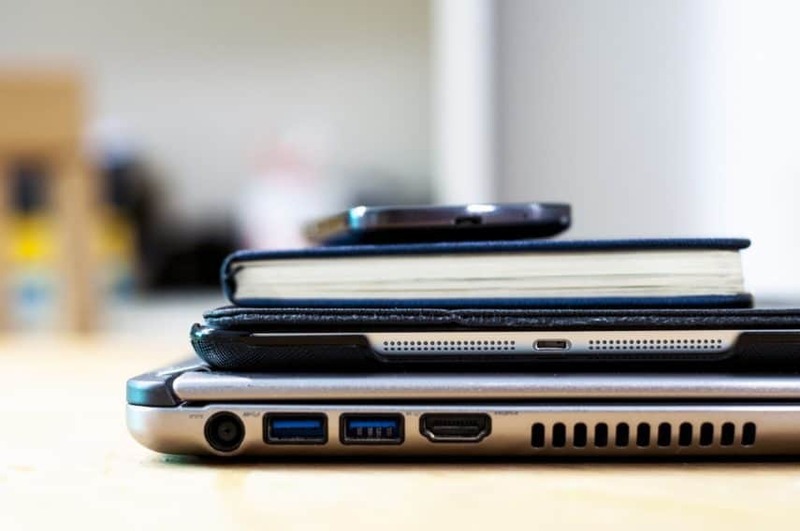 Before your old smartphones, laptops, PCs, and other electronic devices end up in a landfill, consider selling them instead. If I had a penny for every electronic device thrown in the trash, I would be one rich person. According to DoSomething.org, “20 to 50 million metric tons of e-waste are disposed of worldwide every year.” That’s a lot of TVs and smartphones every second of every day! If you knew where to sell electronics, would you consider listing them to avoid adding to this massive amount of e-waste? Here are 6 places to sell your electronics to make some extra money while keeping your side of the landfill clean. Selling electronics is actually easier than you think. Most of these websites want your old devices to sell on their platform. That means they are willing to make it as hassle-free, quick, and simple as possible. Let’s go over the places you can sell electronics. Consider visiting multiple selling sites to compare prices. That way you can earn the most money possible when you sell your technology. With far more tech gadgets accepted, Decluttr is a great place to sell your gaming consoles, smartphones, tablets, games, DVDs, CDs, and more. Benefits of Selling on Decluttr: If you’re looking to sell more gadgets than smartphones and tablets, Decluttr is the place to go. They’re easy to work with, cover your shipping costs, allow search by barcode, and have a free app for quick estimates. Cons of Selling on Decluttr: There is not much of a downside when selling your electronics to Decluttr. The most important thing to watch for are lowball offers on valuable items. How to Sell on Decluttr: There are three ways to search for your electronics on Decluttr. You can search by make and model, barcode, or scan your item with their free app. You can even scan multiple items to sell together, making it generally hassle-free to sell there. From there, you can either continue to add items to your virtual basket or select “Complete order.” You’ll be prompted to sign in to an existing account or sign up for one if you’re new to Decluttr. You can expect an email with a Welcome Pack and a prepaid label to ship your items. Pack your electronics safely in a box, apply the shipping label, and take your package to the nearest UPS Store, Customer Center or Authorized Retail Outlet. How to Receive Payment From Decluttr: Decluttr prides themselves in “next day payment” options. This means that they will inspect your box of electronics as soon as it arrives at their location and issue payment the very next day. You can select Direct Deposit, PayPal, or Check for your payment method. Gazelle offers a more “hands-off” selling experience. Instead of selling directly to a buyer, Gazelle makes an instant offer on your electronic device. They only make offers on certain smartphone models, iPads/tablets, MacBooks, and Mac computers. Benefits of Selling on Gazelle: Because Gazelle has preset standards for what they accept, selling on Gazelle is generally quick and easy. Gazelle also covers shipping costs by sending a prepaid package for you to effortlessly pack up and place your electronics in the mail. Cons of Selling on Gazelle: You won’t usually receive the highest price possible for your device by selling through Gazelle. Since they are a third party buying/selling platform, they need to make a profit on your device when selling it to consumers. How to Sell on Gazelle: Visit Gazelle’s seller page to receive an offer on your technology. Select your device from the short list of items Gazelle accepts. Answer all questions that narrow down your device’s specifications in order to receive your best offer. For a smartphone, you’ll need to select your make (iPhone, Samsung, or other), Carrier (Verizon, AT&T, or other) and specific model. Older models are closer to the bottom of the page. Select “Get an Offer” beneath the smartphone model that you are prepared to sell. There are 4 more questions to help describe the functionality of your device. Answer these questions 100% honestly. Even if the offer is higher when you say there are no scratches on your electronic device, Gazelle will change their offer after inspecting your device if they find otherwise. Your Gazelle offer will populate instantly and you can decide to “Get Paid” or scratch the request. To accept and move forward with the offer, simply enter your email address as prompted to receive shipping details and a progress report. How to Receive Payment From Gazelle: Gazelle states that it should only take a day or two for them to inspect the device upon receipt. Issuing payment via Amazon or PayPal is fastest and takes an additional 3-5 business days to process. If you prefer to receive a physical check for payment, it will typically take 5 to 10 business days to arrive via USPS after processing is complete. eBay will always be a go-to place to sell electronics because they’ve established such a strong brand and reputation. Perhaps not always the easiest or quickest sale, still, eBay has a strong market for all kinds of electronics. Benefits of Selling on eBay: eBay has a large dedicated market that shops directly on the platform. You’ll likely receive the best price for your technology when selling there. Cons of Selling on eBay: You are responsible for monitoring your listings and keeping up with buyer questions and complaints. 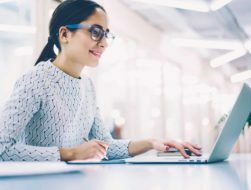 How to Sell on eBay: If you’ve never purchased or sold anything on eBay, you’ll need to sign up for an account. Keep in mind, it may be difficult to sell electronics on eBay if you are brand new to the platform. But it’s definitely not impossible. Once logged into eBay, select “Sell” on the top navigation bar. Select the blue button marked “Create listing” and choose to create single or multiple listings from the drop-down menu. From here, you’ll simply need to enter a title, select a category (suggestions populate based on your title), select the condition of your device, add at least one image, describe your device, and name your price. Complete the final details of your listing, preview it to make sure everything looks great, and publish your listing! eBay will alert you via email when your listing sells, but you can also check the status right from your eBay seller account. Make sure you have proper packaging materials and ship the device to your buyer as soon as payment clears. How to Receive Payment From eBay: Choose to receive payment by PayPal, credit or debit card, merchant credit or debit card (for bulk sellers), or payment on pickup when listing your item. Nextworth is another great place to sell electronics. Similar to Gazelle, you’ll receive an instant offer on your electronics and decide to sell or pass with just a few clicks. Benefits of Selling on Nextworth: Selling on Nextworth is fast, easy, and reliable. Shipping is always free and they boldly proclaim that there is “no risk” when choosing Nextworth. How to Sell on NextWorth: Since you’re not making top dollar with these “buyback” platforms, you can at least rest assured that the process is seamless (when all goes as planned). To grab your quote, visit Nextworth and select “Get a Quote” on the top navigation bar. Next, select the electronic device you are ready to sell. Options are smartphones, tablets, and wearables. In tablets, for example, you will then be prompted to select a make (Apple, Microsoft, Samsung, or Google), and then a model. Respond honestly to all questions listed and select “Get a Quote.” You’ll instantly see the trade in value and have the option to “Add to Cart.” Complete your contact details if you’re ready to commit to Nextworth’s offer. You’ll receive a prepaid label to ship your electronics to Nextworth for inspection and payment. How to Receive Payment From Nextworth: Choose between PayPal or check to receive payment from Nextworth. After the initial inspection of your device upon arrival, payment from Nextworth is typically received within a week. 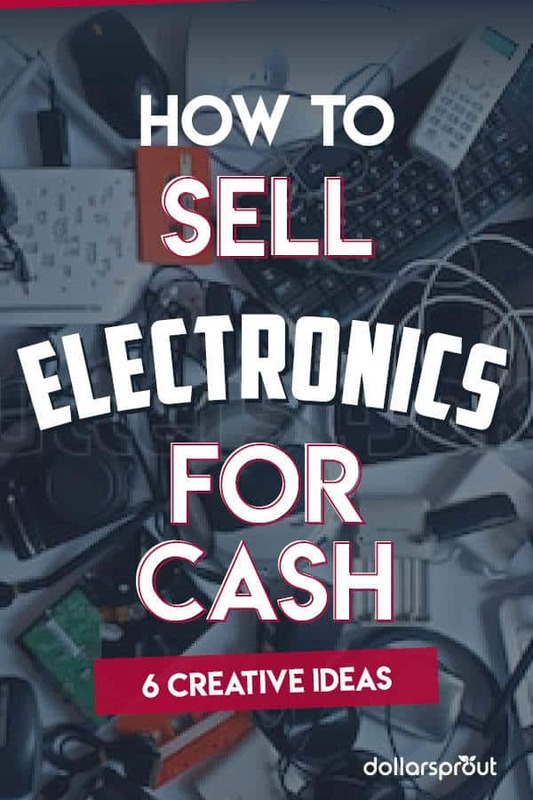 There are several places to list and sell electronics for cash to your local neighborhood. These options will save you the hassle of shipping your technology or the expense of paying seller or shipping fees. Some say selling electronics on Craigslist is a bad idea, but I say it still has its time and place. Craigslist has developed into a massive, free platform to list everything you can possibly imagine, including your well-loved technology. Benefits of Selling on Craigslist: When it comes time to sell electronics on Craiglist, the sky is the limit. As long as you’re an individual (not a dealer) selling electronics, you can list as many items as desired for free. You can even put all of your electronics in one post and allow Craiglist’s search engine to bring the right buyers to your listing. Cons of Selling on Craigslist: When it comes to listing on Craigslist, safety can be an issue. Always be sure to meet buyers in a public location and bring a friend if possible. Also, if you’re an electronics dealer, then Craigslist is not a free option. You can expect to pay $3-5 per listing. How to Sell on Craigslist: Because Craigslist is free, there is absolutely no automation, middle-man help, or cash offers for listing here. But that doesn’t make it a bad place to list since you can earn full price on your electronics! Complete the form with a title, price, location, and description. Be specific in your description and use variations of keywords to describe your items. That way people searching for your electronics will find your listing. When you’ve completed all of the required information, you can review your listing and then publish. How to Receive Payment From Craigslist: When selling electronics on Craigslist, you should avoid any type of online transaction. It’s best to work with local buyers and meet in public areas. If you do decide to accept payment online, make sure to use a trusted payment portal like PayPal or Stripe. Facebook offers a growing marketplace for locals to list items for sale. Between the Facebook Marketplace and free selling communities that can be found in almost every major city, you can easily sell electronics there. Benefits of Selling on Facebook: Because every Facebook account is attached to a name (and usually a profile image as well), meeting up to sell locally seems a bit more secure. Still, take every precaution when meeting a buyer you don’t know personally. Cons of Selling on Facebook: It’s certainly not as convenient as dropping a prepaid package in the mailbox when you sell electronics on Facebook. You are 100% responsible for closing the sale, from listing to final payment. If you have time to meet with buyers, then this shouldn’t be a huge issue. How to Sell on Facebook: You can start listing on Facebook’s Marketplace or search for local selling groups. In my experience, highly engaged selling groups are the best place to start. If you’re not part of any buy/sell groups in your area, sign into your Facebook account and search “[your city] buy/sell group” in the search bar. You should see at least one group that matches your query. Request to join the group and then wait for a group administrator to approve your request. Once approved, visit the group and type your item into the “What are you selling?” text box. Add a price, item description, and list up to 42 images of your electronics. Select “Next” and select the radio buttons next to any local buy/sell group(s) listed and the Marketplace. Choose “Post” to list your item in the group. Be ready to answer questions on the listing or in your message box and set up meetings to sell your electronics. How to Receive Payment From Facebook: Facebook is rolling out a payment feature for buyers/sellers, but it’s not typically something you would use to sell your electronics locally. Instead, discuss pricing with your buyer and request cash at your place of meeting. Here are a few final tips that will help you when selling electronics either online or locally. It’s important to be honest when trading or selling electronics. If your technology doesn’t work or has imperfections or glitches, make sure your buyer knows this ahead of time! You can end up losing time and money if your device is not as described. Be sure to check the prices of similar technology on multiple platforms before listing your item. If you want the best price available versus a quick, hassle-free experience, then price comparison is important. Plus, if you list your electronics with pricing that is outrageously high, then your electronics won’t sell and you won’t make any money. When selling electronics directly to a consumer, always wait for payment confirmation before shipping your device. If you’re working with a company for a trade-in credit or cash offer, then you will need to send your device before receiving payment. Selling platforms that process payment online almost always charge a seller fee. That’s perfectly normal but not to be ignored. Make sure to research your fees and shipping costs before setting your price or you could end up paying to sell electronics online. If you’re trying to sell electronics for the first time, all of this information may be intimidating. But don’t let that stop you from making money on your technology! Once you’ve earned extra cash for that old smartphone, tablet, or TV, you’ll be addicted to selling instead of trashing your items.